All students in kindergarten through grade twelve who have not previously attended a JCPS school need to register online. Students must be registered before they can apply to JCPS schools. You must complete registration online. The online system will walk you through the process, but if you don't have a computer, we can provide access for registration. 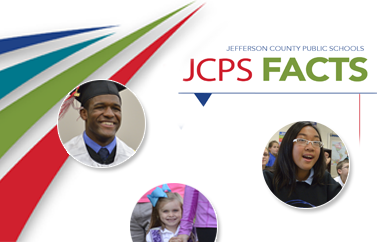 After you register online, you'll need to take proof of address to a JCPS school or registration site, or you may email it to addressverification@jefferson.kyschools.us. Students whose parents are moving into Jefferson County from somewhere else must provide proof of residence in Jefferson County before registering. Important: You may register your child for school regardless of immigration status and/or a fixed, regular, and adequate night-time residence. Our Homeless Education Program can provide assistance with registering your child for school if you are currently homeless. For more information on the registration process, call the Parent Assistance Center at (502) 485-6250 or send an email to askstudentassignment@jefferson.kyschools.us. Computers are available at the JCPS Registration Site, which is open from 8 a.m. to 4 p.m. at the Lam Building (4309 Bishop Lane). The English as a Second Language (ESL) Office (1325 Bluegrass Avenue) serves families who need help with English. Contact the ESL Office at (502) 485-3623 to make an appointment. Looking for additional registration opportunities? The JCPS Mobile Student Registration Site stops around the district in the fall. Call (502) 485-6250 for the latest information.